When we needed special kit options for confirm shipping and a back order grid the folks at WiSys were there to help us and assist us along the way. We look forward to future business opportunities with WiSys. WiSys gave us the tools need to implement a material management system, which bolts up seamlessly with our current Macola Progression software. Using license plating technology, we achieved a 99.9% inventory accuracy, which lead to quicker customer order turn around, increased customer satisfaction and overall efficiency gains company wide. Easily customizable, with fantastic customer service, I would recommend this product to any Macola user. WiSys is a good fit for those, like us, using Macola. The WiSys tools allow us to adapt to ever changing customer & production needs while maintaining Macola as our base system. Rolling out WiSys mods/apps is easy, as the rollouts can target smaller groups while other continue to use Macola in a native mode. This is very important to us since we have a small IS/IT staff, and supporting a rollout across three plants would be more difficult. We have been with WiSys since 2008 and just love the product, along with the great support that WiSys gives their customers. It has been great to be able to track the inventory and find out what happened to items, along with being able to locate the inventory in an instant, with the binning process. Also, all our cloth has tag #’s, which allows us to better serve the customers with tracking of complaints. Awesome product. Thank you to Randy for all your help with our label and printing issues…it took time and patience but you figured it out. Thanks for all your help! I love working with WiSys. Very knowledgable staff and always take of my issue quickly. They don’t provide band aids they provide solutions. Thank you guys for helping us. The work we use to do gets done now in minutes instead of hours. 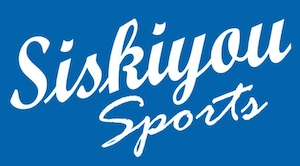 Siskiyou Gifts appreciates the help and level of service. Thank you guys. Our company had planned to implement WiSys software for a number of years but the economic downturn delayed the purchase. We finally purchased and installed WiSys in 2013. Our first project was to get Shop Floor Work Center Reporting going so that the 30 production employees could free up supervisor’s time by collecting labor data real time. We established plant computer KIOSKS and with the help of WiSys staff had the product running live within months of it’s installation. Now we are able to view in real time the labor occurring on the shop floor from anywhere in the building. Our goals for this year are to implement additional quick wins with WiSys process grids and long term plans are for a fully functional wireless warehouse management system with handheld computers processing our data as it occurs. We look forward with confidence that the product purchase and installation was the correct decision for our firm. We realize that we are just beginning to enjoy the benefits of getting more real time data collection systems to reduce labor in data entry and to provide better information to the entire organization. I truly appreciate WiSys Agility and how it is providing us the ability to extract data and turn it into information to build our business. One of the biggest things I’ve seen as a customer is the way Agility makes Macola better – and I believe that is a great way to bring in new customers. See more customer success stories.